With Victory Spreads You Can Make Money from the Stock Market DURING the Recession... No Matter How Bad the Economy Gets! And You Can Do It In 15 Minutes a Day! It's time to STOP watching your portfolio shrink, and START doing something about it! Keep reading to discover exactly how to create a huge monthly income by making a killing from the market REGARDLESS of whether it goes up or down! Let me tell you something I hate, and then I'll tell you something I love. However, I'm NOT going to feed you a bunch of "get rich quick" hype, because that's not what the Victory Spreads video is about, nor is it my style. · and how you'll be able to access it. pure speculation, or worse... GAMBLING! I will tell you right now... trading option VICTORY SPREADS is NOT gambling! It is one of the lowest risk vs highest return option trading strategies I have ever seen. In short, once you've set it up correctly, you risk a pittance to make a potential killing. What's more, you have plenty of time for it to work for you. And if it doesn't go the way you thought, more often than not you make a small profit, sometimes a small loss, but just as often, 5-10 times your return on risk. Work it out ... how many times do you need to get it right to make an overall profit? Once you know what to do, trading VICTORY SPREADS is a "set and forget" system. The Victory Spreads video will show you EXACTLY how to set up the trade, the best stocks to run a scan for and how to adjust the positions when necessary. Victory Spreads work for BOTH call and put options. In other words, you can take a bet both ways if you like, but with a much better risk to reward ratio than straddle options. If you've lost money in the market it can destroy your confidence. Using VICTORY SPREADS will allow you to trade with 100% confidence again because instead of hoping to make a profit by guessing what to do, you'll have a plan. The only way for you to make the right decisions is by having superior knowledge. Once you understand how to REALLY make money, you will trade with total confidence. That's what I can do for you and I do not say it lightly, it's true. 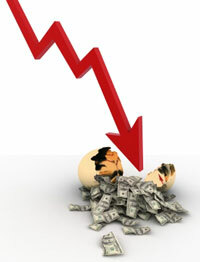 · Have you been in the market as an investor and been disappointed with the results? · Do you stay away from the markets because you think they are too risky? · Are you confused by technical and fundamental analysis? · Would you like to stop GUESSING which direction the markets are going, and take the professional approach to trading as a business? · Does the idea of managing your business 'by the numbers' make sense to you? · Does the idea of trading stocks and options as a real business sound good to you? These two videos normally forms part of Module 11 of the Trading Pro System. But this one strategy alone is so valuable that we've singled it out for special mention - and made it available to YOU for a once-only payment of just $27. You can watch the video directly on your computer... you can access it anytime of the day or night - whenever it's convenient for your schedule. I've made $1000's with a total risk of $50 or so. It's extremely powerful. Think there's no free-lunch on Wall Street? This isn't one either but it's as close as it gets to one! This is the perfect strategy for playing earnings reports, takeover news stocks and any stock you think will move big in any direction with little risk. As I mentioned previously, you will not find this material anywhere else. The instructional video will be delivered to you 100% online, so you can get started RIGHT AWAY! You're just seconds away from getting full access to the complete course. Sign up now and you'll be on your way to trading success! You will get the entire thing INSTANTLY when you join today. Also, I want to let you know that there is NO UPSELL. There is no "one time offer", or anything else that you have to buy to complete the course. You are getting the lot. Most of the other (not mine) online "educational" products out there for "learning how to trade" consist of cheesy ebooks, with little or no helpful content. So please don't go wasting another $97 (or whatever) on yet another ebook that won't help you get to where you want to be! Instead, invest in this Victory Spreads educational video which will truly put the knowledge into your hands and into your mind. But you'll need to act fast. regardless of whether it's going up or down? YES, I want the Victory Spreads System! Yes, I want to grab a spot in this very limited membership! Yes, I want instant access to the Victory Spreads instruction video. P.S.- You could attempt to learn this by trial and error on your own, but I assure you it will be a MUCH more costly "education" than the one I'm offering you today for a very reasonable price. Copyright by Trading Pro System. All rights reserved.